The tenth international conference GAP.10 of the German Society for Analytic Philosophy (GAP) will take place in Cologne (Germany), September 17–20, 2018. GAP.10 is hosted by the University of Cologne and organized by Thomas Grundmann and Joachim Horvath, and locally organised by Anna-Maria A. Eder. recipient of the GAP’s Frege-Award 2018, there will also be a Frege Award Colloquium with Carl-Friedrich Gethmann (Siegen), Rainer Hegselmann (Frankfurt), Eric Hilgendorf (Würzburg), and Reinhard Merkel (Hamburg). In addition, the four-day conference will bring more than 250 national and international speakers to Cologne, who will contribute to seven colloquia, four book symposia and plenary discussions, and eighteen sections. Following GAP.10, the University of Cologne will also host three independent satellite workshops. During the GAP.10 the fifth students congress for Philosophy will be held. The congress will take place on Monday the 17th as well as Tuesday the 18th of September 2018. Further details will be provided on-site. A preliminary programme can be downloaded on http://skphilosophie.de. The final version of the GAP.10 programme booklet is now available for download. Go to downloads. After a lot of requests from your side we are happy to announce, that the registration for the tenth international conference GAP.10 of the German Society for Analytic Philosophy (GAP) is finally open. The registration form can be found here. Until June 1st 2018 we offer an Early Bird Discount on the conference fee. You can find an overview of fees in the section Information. Welcome to the website of GAP.10, which will be held in Cologne from September 17 to September 20 in 2018! The Call for Papers and Posters for section talks and the poster session of GAP.10 will be published in October 2017. For flights from the Americas and Australia, the following airports are recommended: Frankfurt am Main, Düsseldorf, and Cologne/Bonn – there are direct and frequent connections by train or bus from all three airports to Cologne main station. From many European countries, the regional airports Dortmund and Frankfurt/Hahn might be a further option. The GAP.10 congress will take place around the main building of University of Cologne, especially in Hörsaalgebäude and Seminargebäude. Hotel reservations for GAP.10 can be made via a search tool provided by the Cologne Convention Bureau. University of Cologne aims to offer child care to all interested participants of GAP.10 – details will follow soon. In case you are interested in child care during GAP.10, please tick the relevant box when registering, and we will contact you later on. Here you will find important informations regarding GAP.10 for download as soon as we are able to provide them. GAP.10 offers you various possibilities to reach a specialized audience through advertising. Advertisements can either be presented inside or on the jacket of the printed program. Furthermore, loose advertising supplements can be added to our conference folders. Publishers have the opportunity to present their products at a Publishers’ Exhibition in the congress building. You can soon find further information in a detailed document in the download-section. As in the past, the GAP.10-congress will feature several sections of peer-reviewed talks and a poster session that provide a comprehensive forum for all areas of analytic philosophy – including, for the first time, sections on the didactics of philosophy, the history of philosophy, metaphilosophy, the philosophy of cognition, and social philosophy. The GAP invites all interested persons to submit their contributions to GAP.10! Submit your contribution through the online system of Easy Chair – If you do not already have an EasyChair account, you need to create one first. Please prepare a short abstract (max. 250 words) and a longer summary (max. 1.000 words) stating the central claims and arguments of your contribution. The longer summary must be suitably anonymized, i.e., prepared for a double-blind review process (submission that are not fully anonymized cannot be considered for GAP.10); submissions will be reviewed by at least two expert referees. You will be notified about the decision by May 2018. All submissions can be either in German or in English. Talks must not exceed 25 minutes; in addition, there will be 15 minutes time for discussion (in any case, the total slot time is strictly limited to 40 minutes). Posters will be presented in DIN A0 format. Papers and posters can be independently submitted and will be independently reviewed. If more acceptable talks are submitted than there are slots in the respective section, we may propose to submit a poster instead. The GAP awards a Best-Paper-Award and a Best-Poster-Award. You will find a schematic overview of the program of GAP.10 below – you can also find a PDF of the complete program here. Colloquium 6 (K6): "Philosophy of Metacognition and Emotions"
Colloquium 5 (K5): "Moral Philosophy and the Sciences"
Colloquium 4 (K4): "Logic, Norms and Reasoning"
Colloquium 2 (K2): "Belief Aggregation and Epistemic Diversity in Science"
Colloquium 1 (K1): "Theoretical Topics in Analytic Feminism"
Colloquium 7 (K7): "Social Philosophy of Language"
Colloquium 3 (K3): "Epistemic Authority"
Book Symposium 1 (S1): "Falsches moralisches Bewusstsein"
Book Symposium 2 (S2): "Illusion freier Wille?" The Erkenntnis Lecture 2018 will be delivered by Benjamin Schnieder (Hamburg). Details about these workshops can be found on the respective websites. The closing party for GAP.10 will follow the official programme on Thursday, September 20, 2018 (more information coming soon). A sufficient number of seats in a Cologne restaurant or pub will be reserved for a GAP.10-Stammtisch (regulars’ table) on the evenings of September 17 to 19, 2018 (more information will be available here soon). are intended for the promotion of young researchers. the Society for Analytic Philosophy (GAP) honors a renowned German speaking philosopher for outstanding achievements in the field of analytic philosophy. In addition, the GAP will award three best paper awards as well as one best poster award at GAP.10, each endowed with €250. donated for the ninth time by Margret Stegmüller, for outstanding contributions to analytic philosophy. Eligible are works of any length (in German or English), published or unpublished, whose author is no older than 40 years at the time of nomination, holds no permanent academic position, and is German-speaking or working in a German-speaking country. The award is endowed with a total of €12,000. Usually, three works are awarded. donated by the publisher De Gruyter, for an outstanding work in analytic philosophy of mind or ontology/metaphysics. Eligible are works of at least 150 pages (in German or English), which have not yet been published or considered for publication and whose author either is German-speaking or works in a German-speaking country. The award is endowed with €2,000. 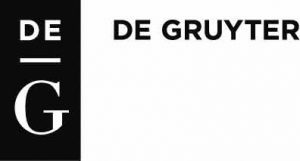 The awarded work will subsequently be published by De Gruyter. In honor of the laureate, an author’s colloquium will be held at GAP.10. The colloquium consists of a lecture by the laureate himself, followed by a panel discussion with the following participants: Carl-Friedrich Gethmann (Siegen), Eric Hilgendorf (Würzburg) and Reinhard Merkel (Hamburg); laudation and moderator: Rainer Hegselmann (Frankfurt). The author’s colloquium will take place on Wednesday, 19 September 2018, from 18:15 to 20:15. Every three years, the Society for Analytic Philosophy (GAP) honors a German-speaking philosopher who has particularly distinguished her-/himself in the field of analytic philosophy with the GAP’s Frege Award for her/his philosophical work. and will be presented on 19 September 2018 in the course of GAP.10 after the Frege Award Lecture, which is part of an author’s colloquium in honor of the laureate. The lecture will be followed by a panel discussion with the participation of Carl-Friedrich Gethmann (Siegen), Eric Hilgendorf (Würzburg) and Reinhard Merkel (Hamburg); laudation and moderation: Rainer Hegselmann (Frankfurt). The Frege Award Lecture as well as the related panel discussion will take place on Wednesday, September 19, 2018 from 18:15 until 20:15. The Society for Analytic Philosophy (GAP) will award three best paper awards, each endowed with €250, at its GAP.10 congress in 2018. The awardees will be selected from the accepted section contributions by the section chairs. The three awards will be presented during the opening ceremony on 17 September 2018. The Society for Analytic Philosophy (GAP) will award a best poster award, endowed with €250, at its GAP.10 congress in 2018. The awardee will be selected by the participants of GAP.10. The award will be presented during the poster session on 19 September 2018. The Society for Analytic Philosophy (GAP e.V.) and University of Cologne. Thomas Grundmann and Joachim Horvath, in cooperation with the GAP’s executive committee, the local head of organization Anna-Maria Eder, and the team of the Chair for Epistemology, Philosophy of Science, and Logic at the Department of Philosophy of University of Cologne. The authors of this website accept no liability for the quality, topicality, accuracy, or completeness of the provided information. Liability claims against the authors with respect to damage of material or non-material nature caused by the use or non-use of the provided information, or by the use of incorrect or incomplete information, are strictly inadmissible, provided there is no verifiably willful or grossly negligent culpability on the part of the authors. All offers are subject to alteration and non-binding. The authors explicitly reserve the right to modify, add or delete sections of pages or the entire website without prior notice or to discontinue its publication temporarily or permanently. Where direct or indirect references are made to external websites (links) outside of the authors’ scope of responsibility, liability would only apply if the authors had prior knowledge of the contents and it was technically feasible and reasonable to prevent the use of such illegal content. The authors therefore explicitly declare that the linked websites were free of illegal contents at the time the link was established. The authors have no influence whatsoever on the current and future designs or contents of the linked websites. They therefore hereby expressly dissociate themselves from the contents of all linked websites that have been modified since the creation of the links. This declaration applies to all links and references created on the website, as well as to third-party entries on guest books, discussion boards, and mailing lists set up by the authors. The operator of the linked site alone, and not whoever merely refers to the published content in question through links, is liable for illegal, incorrect or incomplete contents, and, in particular, for any damages resulting from the use or non-use of any such presented information. In all publications, the authors endeavor to respect the copyright of all used graphics, sound files, video sequences and texts, to use graphics, sound files, video sequences and texts created by the authors themselves, or to resort to unlicensed graphics, sound files, video sequences and texts. All brand names and trademarks cited on the website and possibly legally protected by a third party are in each case subject in full to the terms of the applicable copyright law and the right of ownership of the respective registered owner. The mere mention of trademarks does not imply that the trademark is not legally protected by a third-party! The copyright to objects published and created by the authors themselves remains with the authors of the sites. Any duplication or use of such graphics, sound files, video sequences or texts in other electronic or printed publications is not permitted without the explicit consent of the author. This disclaimer is to be considered as part of the website which referred to this page. Should parts or individual formulations of this text not, no longer or not fully comply with the current law, all other sections of the document remain unaffected as regards their content and validity. The provider of the Website and the party responsible for data protection and privacy issues with regard to the Website, are the Society for Analytic Philosophy (Gesellschaft für Analytische Philosophie e.V.) and the University of Cologne, Germany (hereafter referred to as “provider”, “we” or “us”). For further information on contact details please refer to our legal notice. The term “user” refers to all customers and visitors of our Website. We process all collected personal data in accordance with the relevant data protection regulations and adhere to the principles of data economy and data avoidance. This means that user data will only be processed when this is permitted by law. This applies, in particular, if data processing is required or prescribed by law for the provision of our contractual services and provided online services, or if the user has provided their consent. In order to deliver chargeable services, we need our users to provide additional information, e.g. full address or contact information as those are necessary for the proper processing of a registration. The provision, execution, maintenance, optimisation and securing of our services, including service provisions and user services. We only forward user data to third parties if this is necessary for billing purposes (e.g. to a payment service provider) or for other purposes necessary to fulfil our contractual obligations towards the users (e.g. address information to suppliers/distributers/providers). When contacting us (via our contact form or e-mail) user contact details will be stored for the purpose of processing the request and for the case that follow-up questions arise. Personal data will be deleted if it has fulfilled its intended purpose and if its deletion does not conflict with any retention requirements. We collect data every time the server on which the service is located is accessed. This data is collected in the form of so-called server log files. These access logs include the name of the website and/or the file accessed, the date and time of access, the amount of transferred data, notification of successful retrieval, information on the web browser used (including the version), the user’s operating system, referrer URL (of the precious page linking our Website), IP-address and the requesting provider. We use the log files without allocation to the user’s person or other profiling, in accordance with the legal provisions and only for statistical evaluations in the interest of the operation, security and optimisation of our online Services. However, we reserve the right to retrospectively check the log files in the case of concrete indications for its unlawful use. The viewing of our online service is also possible with the disabling of cookies. In the case that the user does not wish cookies to be stored on their computer, they are asked to disable the relevant option in their browser settings. Stored cookies can be deleted in the browser settings any time. Disabling cookies may however prevent the user from enjoying the full functionality of this Website. Users can manage their preferences with regard to blocking cookies that are used by companies for online advertising on the U.S. website https://www.aboutads.info/choices or the European website https://www.youronlinechoices.com/uk/your-ad-choices/ . Users have the right to obtain information on the personal data we have collected from them free of charge upon request. In addition, users have the right to correct any inaccurate data, revoke any consents, restrict the processing of their personal data or delete it, as well as the right to submit a complaint to the relevant supervisory authorities if they suspect that data has been processed unlawfully. We use the so-called SSL security system (Secure Socket Layer) for transmitting data in conjunction with the highest level of encryption that is supported by your browser. This is usually 256 bit encryption. In case your browser does not support 256 bit encryption, a fall-back solution with the 128 bit v3 technology is used instead. You can recognise a secure connection by the closed lock symbol in your browsers address bar. We apply state-of-the-art organisational, contractual and technical security measures to ensure compliance with the provisions of the data protection laws and to thereby protect the data we process against accidental or intentional manipulation, loss, destruction or access by unauthorised persons. Our security measures are continuously improved in line with technological development.